DotEmu, who brought the retro titles Nicky Boom, Krypton Egg, and Golvellius to the App Store, has just given Touch Arcade an exclusive heads up on their latest IP acquisition. And for shooter fans, this is pretty much the best news you could hear: The renowned shooter classic R-Type is coming to the iPhone and iPod touch. The studio informs us that development is currently under way and the title should hit the App Store sometime in the next few months. “We are very pleased to work on R-Type and to start our collaboration with Irem Software Engineering Inc. Our main goal is to make the best touch version possible of this great game to seduce both fans and new players. This is really a great game and we are eager to release it!" said Xavier Liard, CEO of DotEmu. For those somehow unfamiliar with R-Type, a bit of history. 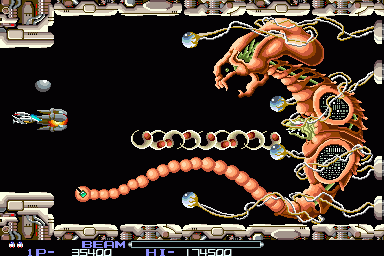 R-Type is a side-scrolling shooter released to the arcade by Japanese publisher Irem in 1987. 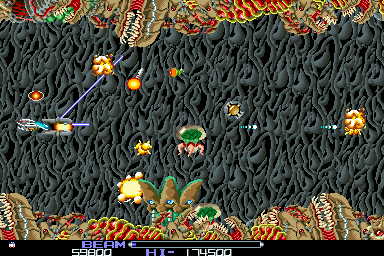 The game is set in the 22nd century and places the player in control of the R-9a “Arrowhead" fighter craft with the goal of defending humanity against the bio-mechanical alien life form known as the “Bydo." Battle is waged in and among a complex series of levels, some machine-like and metallic, some biological in nature. R-Type is widely considered to be one of the best shooters ever made and is known for its viciously designed levels and extreme difficulty. (IGN ranked it 7th in their list of the 10 most difficult games to beat.) The game has been ported to a great many platforms, including the Xbox Live Arcade and the Wii Virtual Console, and has spawned many sequels as well as imitators. The arrival of a classic of this magnitude — one that stands so notably apart in its genre — is wonderful news for iPhone gamers. DotEmu is a French development and publishing house dedicated to bringing classic 80’s / 90’s games to modern platforms. See our interview with DotEmu CEO Xavier Liard, from last year, for a close look at the company’s history and vision for iPhone game development. See the following video of the arcade version of the game for a look at the action. DotEmu has not released any iPhone-specific screenshots or demo videos, but they did reveal that the game will feature D-pad, touch, and tilt controls and that they are focused on getting those controls implemented in a perfectly playable fashion. They have also indicated that they are eager to dig into the issue of iControlPad support and, barring something unforeseen, plan to have support implemented either in the initial release or in an update. We will share any further news and assets surrounding R-Type for the iPhone as we get them. Stay tuned.